Q: Where can I find contact information for a specific department at the hotel? A: Please see the “Contact Page” on the website for all departments contact details, and our enquiry form. Q: Do I need to pre-arrange car parking and is there a charge? A: The venue has 2,750 car parking spaces, along with specific spaces within Car Park A, reserved for residents, so there is no need to book. All car parking is complimentary. Q: I have left something at the hotel, how can I get this back? A: Please contact the hotel and speak to the Housekeeping department and they can arrange to have any lost property sent back to you (there maybe a charge for large or special delivery items). Q: Is there somewhere I can store my luggage once I have checked out? A: Yes, you can store any luggage, free of charge with the hotel concierge. Q: Does the hotel provide Wi-Fi and is there any fees? A: The hotel and venue offer complimentary Wi-Fi to all guests throughout. Q: Is the hotel a non-smoking venue? A: Bolton Whites Hotel is a fully non-smoking venue. There are designated smoking area’s at the front of the hotel. Q: Does the hotel accept pets? A: The hotel only accepts guide dogs – please advise the hotel at the time of booking. Q: Does the hotel provide a laundry service? A: Yes, dry cleaning and laundry service is available to hotel guests. Please contact the hotel reception for prices. Q: Are there fitness facilities at the hotel? A: Yes, the hotel offer full leisure facilities to hotel guests which are complimentary to hotel guests. There is also a hair salon, Jiggi's onsite. Q: Does the hotel offer facilities for disabled guests? A: All of our accessible rooms are fully DDA compliant. To read more about our Accessibility Policy, please click here. Q: Are the hotel’s restaurant and bar open to non-residents? 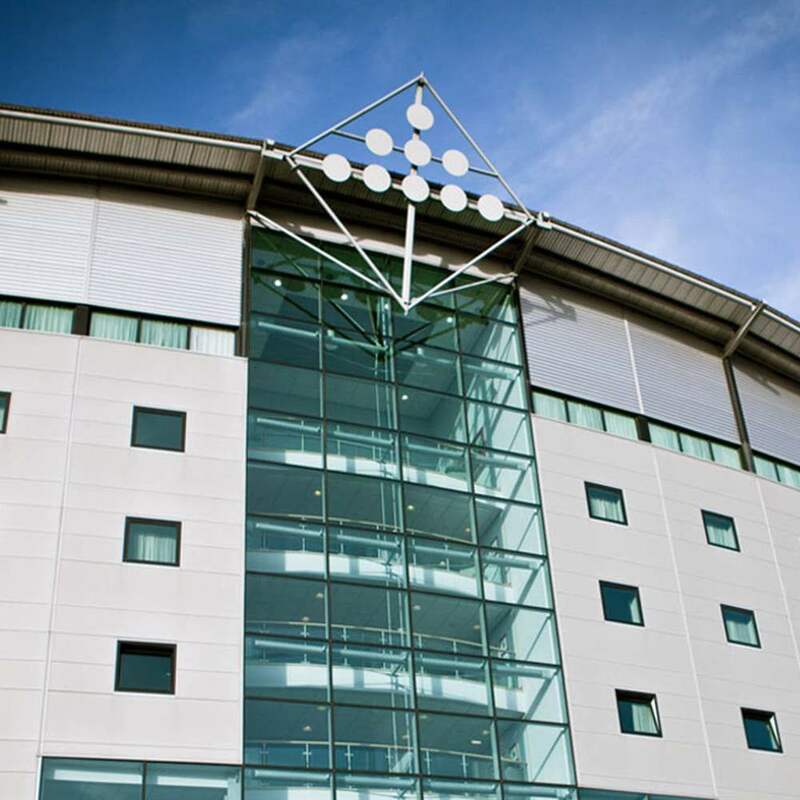 A: Yes of course, Bolton Whites Hotel looks forward to welcoming guests and non-residents to the hotel. Q: Does the hotel have options for dining? A: Yes, guests can either dine in the lounge, Reflections Restaurant or in the comfort of their room. Q: What are the restaurant, bar and room service opening hours? Q: Do you have different types of bedrooms available, i.e Family Rooms? Q: What is the hotel’s check-in / check-out times? A: Check-in time in from 14:00hrs and Check-out is by 11:00hrs. A: Individual reservations can be cancelled up to 12:00hrs on the day of arrival free of charge. For any group accommodation cancellations, please contact the hotel to discuss your contract terms. Q: I have forgotten / lost my confirmation number. How can I retrieve this? A: Please contact the hotel reservations department directly and they can provide this for you. Q: How do I modify / cancel my reservation? A: To make any changes to your reservation or cancel a booking please contact the hotel directly. Q: How do I make a group reservation? A: Please contact the hotel reservations department to check availability and discuss accommodation rates.